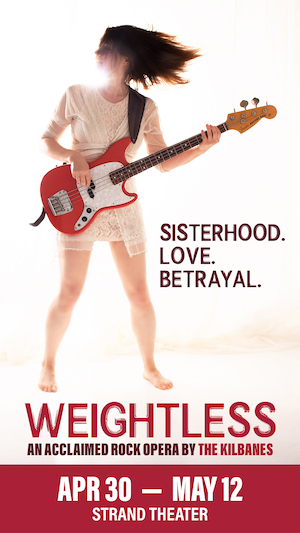 My love for the Crutchfield sisters knows no boundaries, because their music breaks them all. They've got the bedroom pop, emo, indie folk, and even feminist DIY punk stained into their skin and to the skins of their listeners. P.S. Eliot was their first band to break the boundaries in their world, my world, and in all of those that follow their career with arms wide opened. So of course I screamed with joy when it popped up on my Facebook feed that P.S. Eliot is coming back. They're playing a limited amount of reunion shows and one of them is at one of my favorite venues with three of my favorite local bands. They're also releasing a discography of all their demos, EPs, and full length albums via Don Giovanni. I bought my ticket to the show the moment they were available to the public. I didn't have to — I could have easily found my way around spending money — but I couldn't stop myself because nothing would stop me from being there. P.S. Eliot is an important band because you can sense through their music that it was created out of necessity, but it's also stated in history. A band created to fight the lack of similar bands, and speak their own personal truths that before were blocked by the male dominated punk scene. They are a band that caused a chain reaction, the kind that inspired thousands of femmes and people with similar stories to break out of writing music in their room and show the world. P.S. Eliot is one of my favorite bands in the world, even if they may not really still exist, I would hate to imagine a world where they never existed. So of course I'm stoked they're back together, even for a limited time, and even more stoked that they're playing some local favorites that I know admire the Crutchfield sisters as much as I do. It's one of those situations that's a dream come true for all the fans and all the bands playing alongside them. To enter for a chance to win tickets to see PS Eliot at Rickshaw Stop on September 10, email contest@thebaybridged.com with "PS Eliot" in the subject line and your full name in the body of the email. A winner will be selected at random and notified via email.